An article that appeared in last week’s New York Times, by Thomas Homer-Dixon, a professor at Canada’s University of Waterloo, claims that Canada is slowly turning into a petro-state, and that the U.S. would be doing the country a favor by putting obstacles in the way of this evolution and rejecting the Keystone XL pipeline. The editorial, titled The Tar Sands Disaster, makes the case that countries reliant on oil production suffer from more drastic boom-bust cycles, and are less innovative and democratic, and that for these reasons, as well as its environmental effects, Canada is better off without the oil sands. A cursory look at a list of the world’s oil producers would seem to support this argument, with a number of despotic Middle Eastern states, autocratic Russia, and Venezuela, which is a democracy, but an unstable one with a dysfunctional and imbalanced economy, among the biggest producers. A closer review of the world’s petro-states suggests however that oil revenues are not the culprit behind the problems that afflict them, and that in many cases, a robust oil industry mitigates their problems and contributes significantly to boosting their innovation and civil institutions, and raising the standard of living of their citizens. 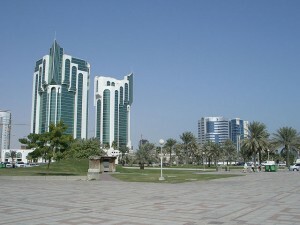 Saudi Arabia, with its absolute monarchy, restrictive religious laws and single-faceted petro-economy is the principal example that a proponent of Homer-Dixon’s argument would likely cite to show how oil wealth can distort a country into something that Canada doesn’t want to become, but such an assumption would ignore the fact that Saudi Arabia’s political structure is not very different from its oil-less neighbours. Next-door Oman for instance has no oil and a very similar culture and ethno-religious make-up as Saudi Arabia, and is also an absolute monarchy with strict Islamic laws. For every oil-rich absolute monarchy, like Abu Dhabi, there is an oil-less absolute monarchy, like Jordan. It’s true that oil-poor Middle Eastern countries are not singularly dependent on oil revenues the way Middle Eastern petro-states are, but it’s also true that they are much poorer, and are producing considerably less innovation as a result. A boom bust cycle comes with oil-revenue dependency, but then we must ask ourselves: is it better to suffer the boom and bust of going from being very rich, to merely rich, that residents of Abu Dhabi face, or being consistently poor like Jordanians? Innovation has also not been shown to suffer as a result of oil wealth. Dubai, a relatively oil-rich emirate within the very oil-rich United Arab Emirates, is now the centre of entrepreneurial activity in the Arab Middle East. 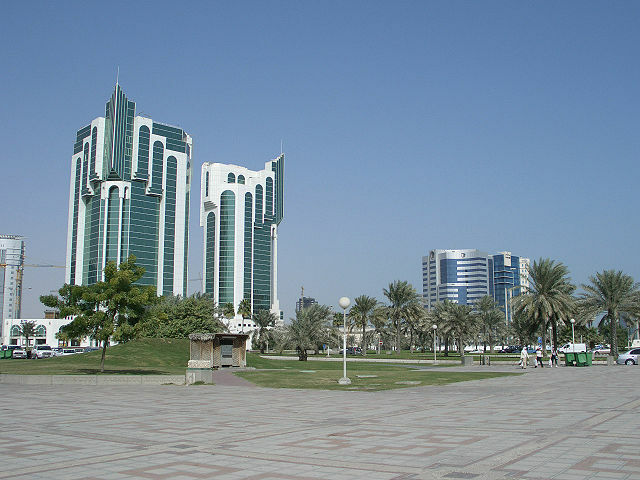 Other Persian Gulf states like Qatar are managing to attract investment from multinational technology companies like Microsoft by using their energy wealth to make themselves attractive locations for opening new research facilities and regional headquarters. Dubai also contradicts Homer-Dixon’s argument that oil wealth encourages a closed culture, given it is one of the most international and open jurisdictions in the region. Homer-Dixon might point to Iran, with a political structure combining authoritarian religious theocracy and parliamentary government, extensive press restrictions, and a foreign policy marked by conflict and tension, as an example of what oil wealth can do to a country. He would have to explain though why Afghanistan, which is just across the border from Iran, shares many of the same languages and ethnicities with its larger neighbour, and has no oil, was for 20 years under some of the most fundamentalist Islamic political movements in the world, most notably the Taliban. Iran, even now as it is targeted by a Western alliance seeking to choke its economy, is an island of stability and moderation relative to Afghanistan, which is why millions of Afghan refugees live in Iran and not the other way of around. Oil revenues, even depleted by sanctions, are likely the reason for the difference. This is by no means an exhaustive analysis of the region’s oil producers and their oil-poor counterparts, but it shows how easily Homer-Dixon’s theory can be put into question by teasing the effects oil revenues from those of culture and regional dynamics. The editorial repeats the oft-made claim that Canada, as a result of its oil sands riches, is suffering from Dutch disease, which is a theorized economic phenomenon whereby natural resource extraction expands at the expense of a country’s manufacturing sector, by diverting labour to service sectors that support the resource sectors, and capital to resource extraction projects. The assumption inherent here is that technical innovation in resource extraction is less valuable than innovation in manufacturing productivity. A review of American economic history contradicts this belief. A recent study on the causes of the breakneck rate of industrialization the United States experienced during the 19th century concludes that extraction of its more abundant natural resources was one of the major factors that gave the rising American power the developmental advantage over its contemporaries in Europe and elsewhere. Norway is another example of a country prospering as a result of a robust resource sector. It is the sixth largest oil exporter in the world, which has made it the wealthiest of the Nordic countries, with a per capita income of $97,254. The oil revenues have helped Norway amass $684 billion in the Government Pension Fund of Norway, the second largest sovereign wealth fund in the world, making the country among the most prepared for an economic bust, not the most vulnerable as Homer-Dixon’s thesis on petro-states contends. On the innovation front, Norway does not have a Nokia, like Finland, or an Ericsson, like Sweden, but it leads the world in offshore oil production and exploration technology, and last year began a four year trial of running a thorium nuclear reactor, which holds the potential to make cheap and environmentally friendly energy available to the world. These areas of innovation, while not glamorous, are no less important than mobile phones. Homer-Dixon’s economic ideology, which is very popular among that segment of the Canadian population which strives to have a social conscience, is ultimately one that does not see fossil fuels as a worthy resource. The long-term cost of the pollution, environmental degradation, profiteering, materialism and waste that the availability of cheap hydrocarbon resources encourages is seen to outweigh its benefits. The road to prosperity and a better quality of life, according to this world-view, is to focus on developing technology that increases energy efficiency and allows a country to do more with less, like clean energy, information technology and high-tech manufacturing. It is a world-view that holds that no compromises need to be made in the interest of environmentally friendly economic development, but it is idealism, not reality. Energy consumption has expanded 30 fold since the beginning of the 1800s, and without this ramp up in the availability of energy, the gains in life expectancy and standard of living would not have been possible, and seven billion people, each of whom contributes to the world’s repertoire of knowledge, could not be supported. Without a doubt, the resource extraction required for the increase in energy production over the last two century has disturbed large swathes of pristine wilderness, has dumped billions of tons of pollutants into the air, ground and water, and has cost millions of lives through its environmental effects, but in the aggregate, greater availability of cheap energy has improved living conditions more than it has degraded them, as every human development indicator makes evident. Ultimately, it is ideology, not objective economic or quality of life metrics, that is at the root of Homer-Dixon’s anti-oil-industry advocacy, and an honest debate about whether Canadians want their country to become a petro-state would acknowledge that.